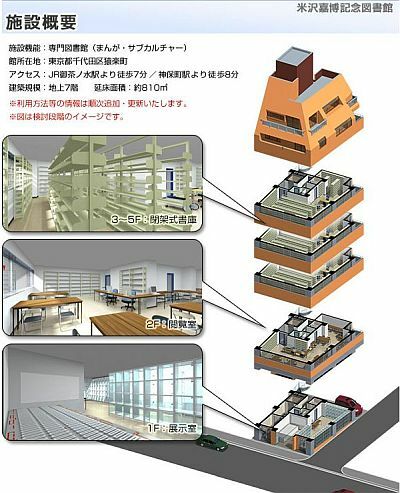 Meiji University announced a new library to be established this summer, dedicated to manga and dojin culture in the memory of alumni Yoshihiro Yonezawa (dropped out of engineering department in 1979) who departed in 2006. Yonezawa was an editor/writer/manga-critic who was one of the founding member of Comiket in 1975, former chair of the Comiket Preparation Committee and president of Comiket Inc., much admired and respected by Comiket-goers. Following the donation of his extended collection of manga, magazines and dojinshi, Meiji University decided to establish the "Yoshihiro Yonezawa Memorial Library" as early as this summer. The library will be located in Surugadai campus, converting the whole Buiding 5 (7 stories, gross floor area 810 square meters), containing more than a hundred thousand volumes. Outline of the facilities. Grand. 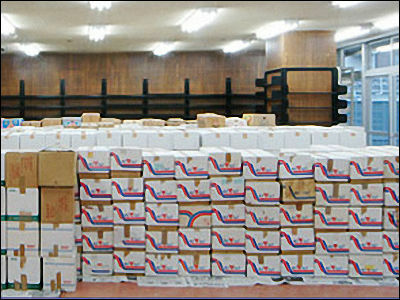 According to the collection page, there are 4137 boxes of Yonezawa's collection, and 403 boxes of books collected by Tsuguo Iwata - another recently deceased dojin giant - also donated to the university by the Comic Market Preparation Committee which received his belongings. By the way, the Comic Market Preparation Committee has been keeping sample copies of dojin works (all participant of Comiket must hand in a copy of their product to the committee beforehand to be censored) since the first Comiket. As the vast collection of sample copies extended year by year, they were inclined to purchase and expand storehouses time and again. 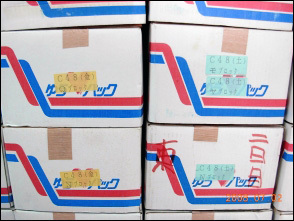 These cardboard boxes are of standardized size "large" used until 2004 for Japanese postal package service. The dimensions of the box are 390×290×200mm, perfect to store dojin books which are often in B5 size, stack flat in two rows. 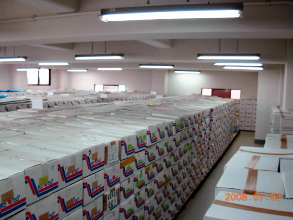 As of July, 2008, around 13,000 boxes full of sample copies are stored, and the Comic Market Preparation Committee is considering if they could make some of the sample copies accessable as part of the library's collection.